Breakfast is the most important meal of the day. But we don’t always have time in the morning do we? Sometimes it’s fun to have breakfast for dinner or as a group activity like snack time. Waffles have been enjoyed at any time of day since medieval times. Originally waffles were a variation on communion wafers, and over time have evolved into what we have now. We have certainly come a long way since then and the results are staggeringly delicious. Waffles come in many shapes, sizes, textures, and flavors. They can be topped with almost endless variations of different ingredients or served all on alone. There are waffle cones, stuffed waffles, and chicken & waffles just to name a few of the creative variations you might find. When concocting your batter make sure that you allow enough for a test waffle or two. This will allow you to taste and adjust your batter before you serve the final product. When following recipes don’t be afraid to make adjustments according to your own preference. Hopefully our waffle club inspires you to whip up a batch of crispy delicious waffles with your own twist added. It’s a lot of fun to make a group activity out of it, and I think we enjoy it immensely. 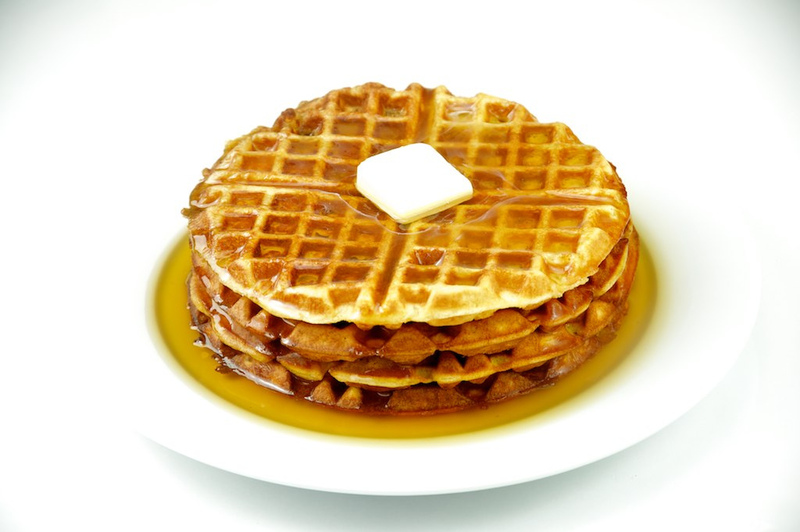 Waffle day is a great way to bring a group closer together and get to know them on a level only reached through food. Sharing ideas and time together around the most simple of concepts is truly a joy. Waffle up! Tags: 4th Annual Transforming Lives Breakfast, An Evening of Breakfast Bites, Basic Waffles, breakfast, Clothes for Kids, De Wafel Tour, food, Foodie Friday, Incredible Breakfast Cook-Off 2014, Modern Times Beer, Modern Times Beer Brunch, Modern Times Brewery & Tasting Room, Moveable Feast Supper Club Knoxville, San Diego Beer Night, Southern Depot, The Culinary Geek, Wafels & Dinges, waffles.